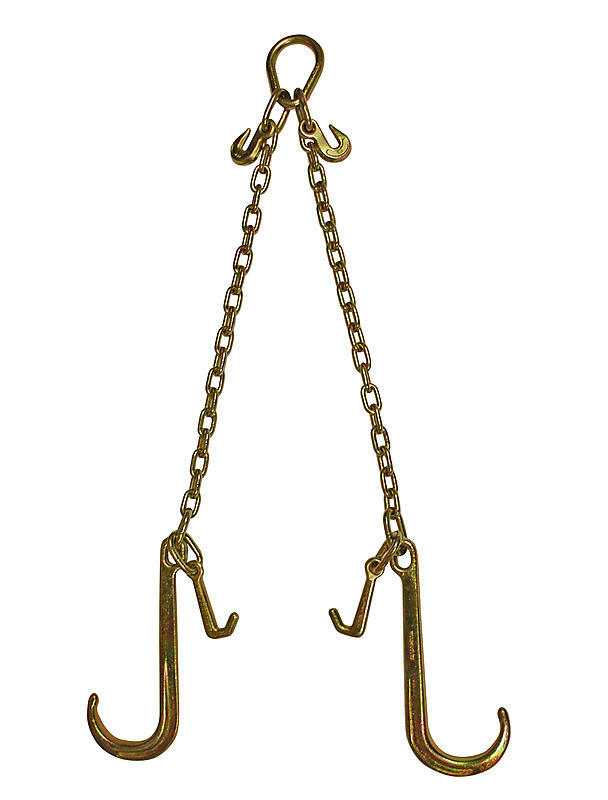 This towing chain v bridle has 2ft chain extension legs with grab hooks and a heavy duty master ring. The legs has 15” J-Hooks and 4” J-Hooks, giving you multiple options when towing. The master ring has grab hooks and a tag with the safe work load limit.